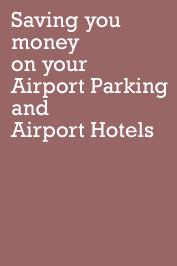 Parking Express on-airport parking is ideal if you are flying from Gatwick south terminal. Parking Express Gatwick provides a 24 hour transfers service every 10 minutes, taking about 5 minutes into the terminal. When you return, transfers are available by minibus from a pick-up point outside terminals 1,2 and 3. Follow signs to Gatwick, then South Terminal, then the Long Term Car Parks and Parking Express. Security Fencing, Lighting, Remote Cameras. Patrolled By Staff And Police. AA Gold Standard Secure Car Park. Security fencing, lighting, remote cameras. Holders of Secured Car Parks Award, patrolled by staff and police. Take a ticket at barrier. Park own car and keep key, exceptionally, you may be asked to leave keys so car can be moved. Drive to cashiers window and give your entry ticket and voucher to the cashier. Recommended to use the short-term car parks on the airport site. Are charged and need to be booked. Price includes a BAA public transport surcharge of 30p per booking.